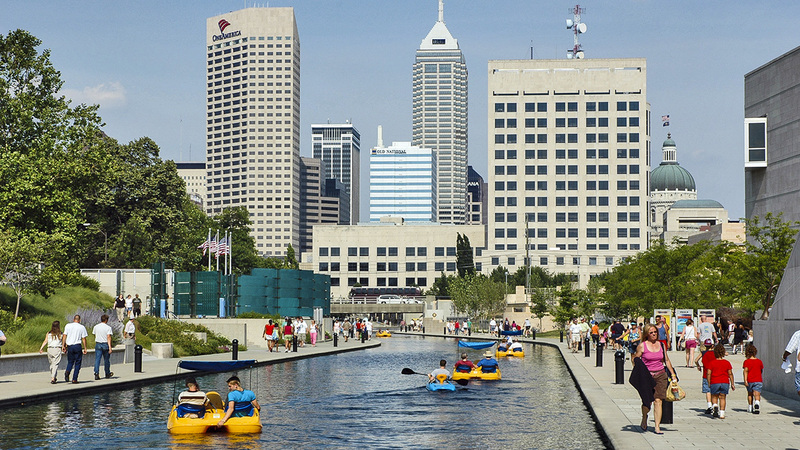 Occupying the southernmost portion of the Indianapolis Central Canal, this three-mile loop trail and waterway connects downtown Indianapolis with the White River. 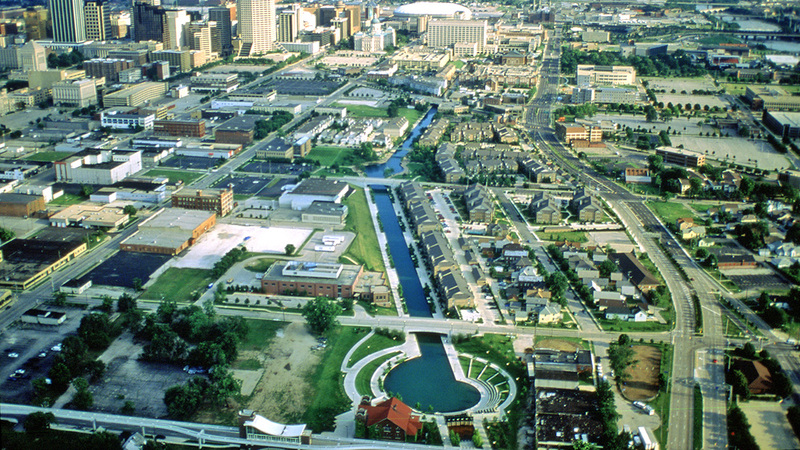 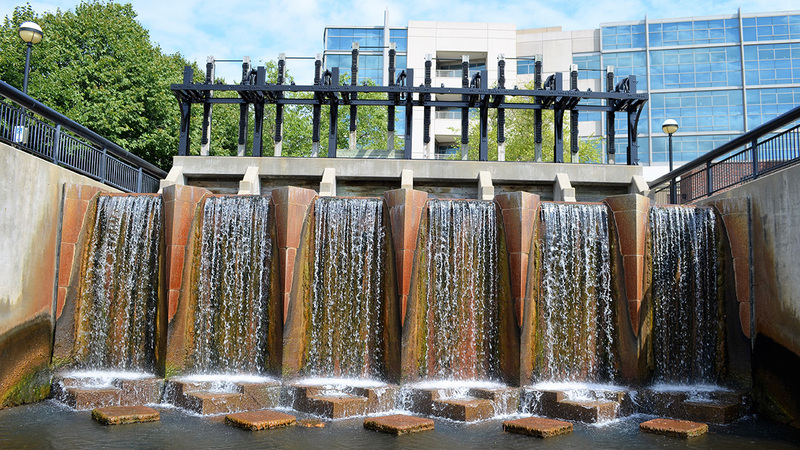 Constructed in the early nineteenth century, the canal was purchased in 1881 by the Indianapolis Water Company, and in the 1980s the lower portion was donated to the city for rehabilitation. 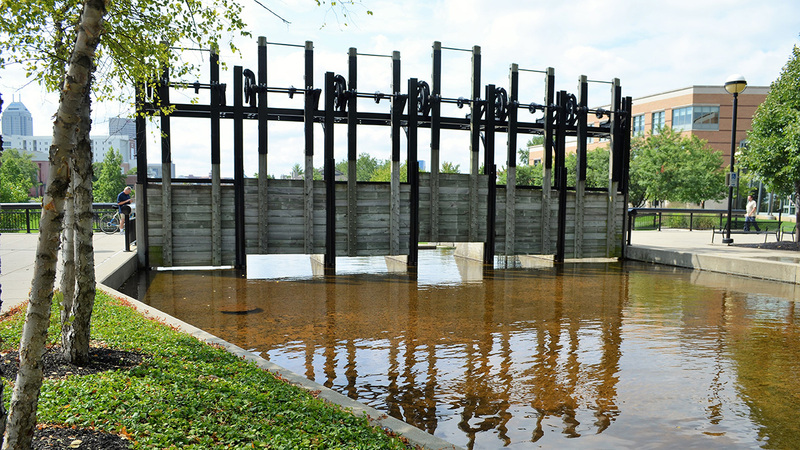 No longer functioning as a commercial waterway, between 1992 and 1997 the area was the subject of a redevelopment master plan by Sasaki Associates, with project lead Stuart Dawson. 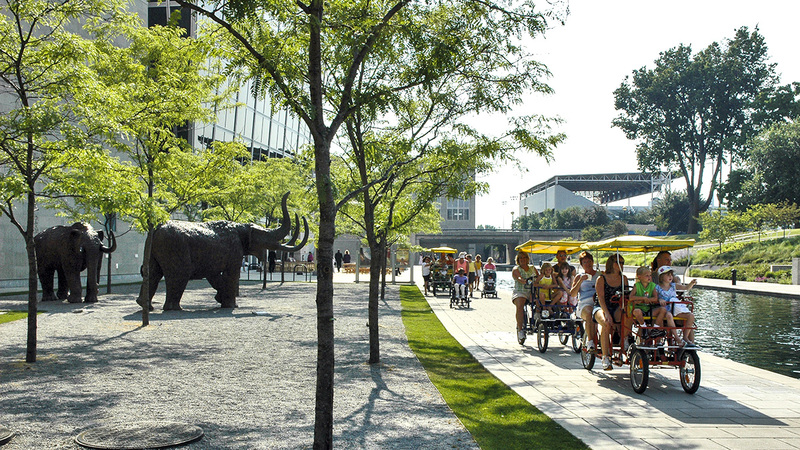 Intended as a contemporary expression of an historic urban canal, the linear park, completed in 2001, offers abundant biking, walking, and boating opportunities. 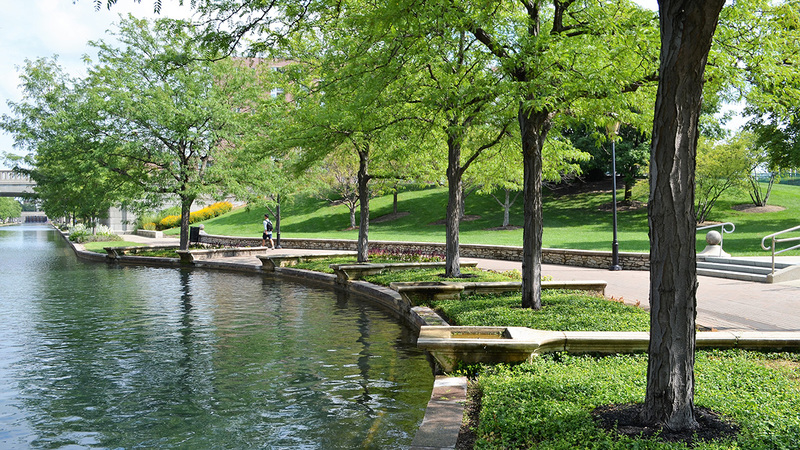 The canal walk begins at 10th and Dr. Martin Luther King, Jr. 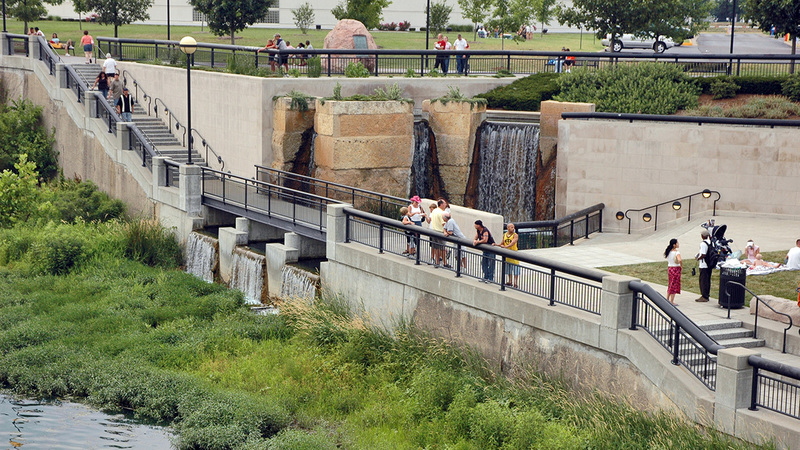 Streets, overlooking a waterfall springing from the reconstructed canal lock gate. 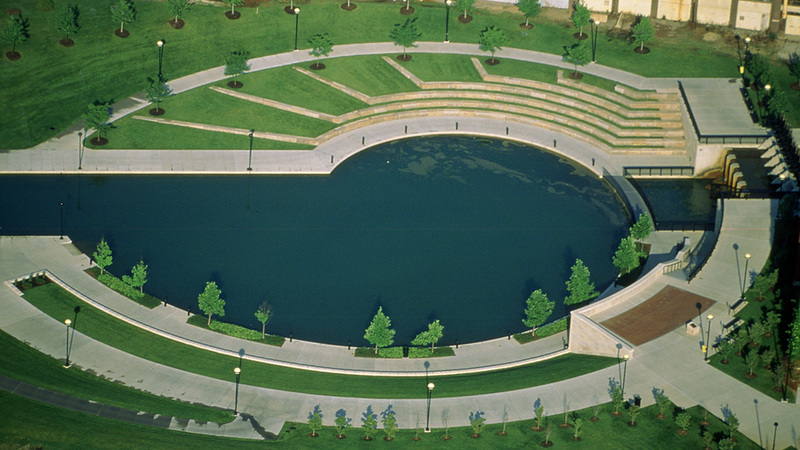 From there, the water rushes downward into a circular basin, surrounded by a terraced lawn and amphitheater designed by Browning Day Mullins Dierdorf. 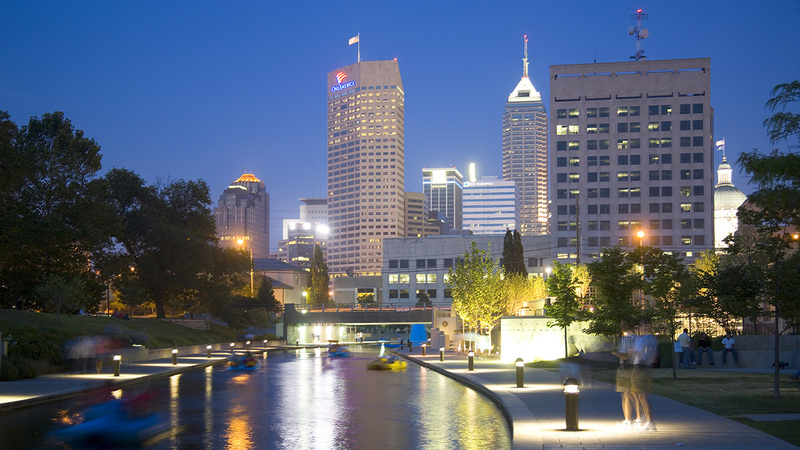 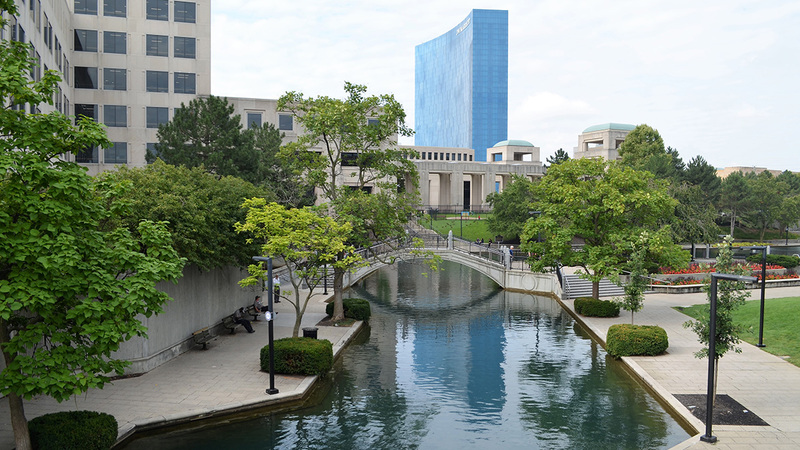 Next, the waterway travels southward with paved pedestrian routes on either side leading past commercial, residential, and public developments as well as several commemorative sites including the USS Indianapolis Memorial and the 9/11 Memorial. 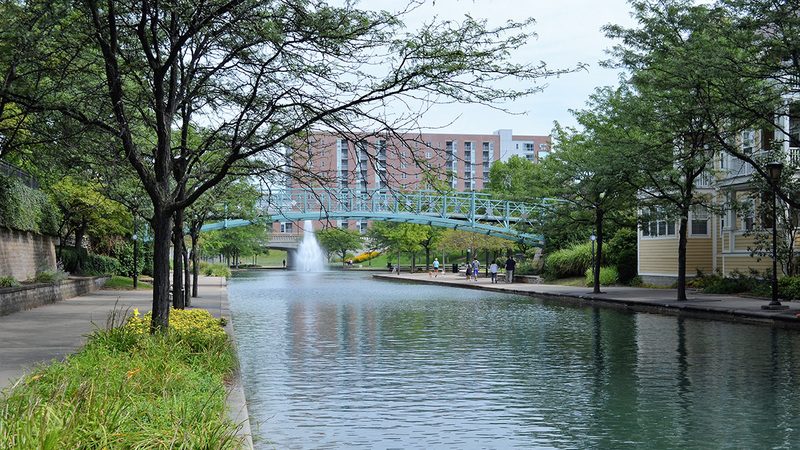 Several bridges cross the water, providing opportunities for pedestrians to traverse the canal or walk alongside it beneath the structures. 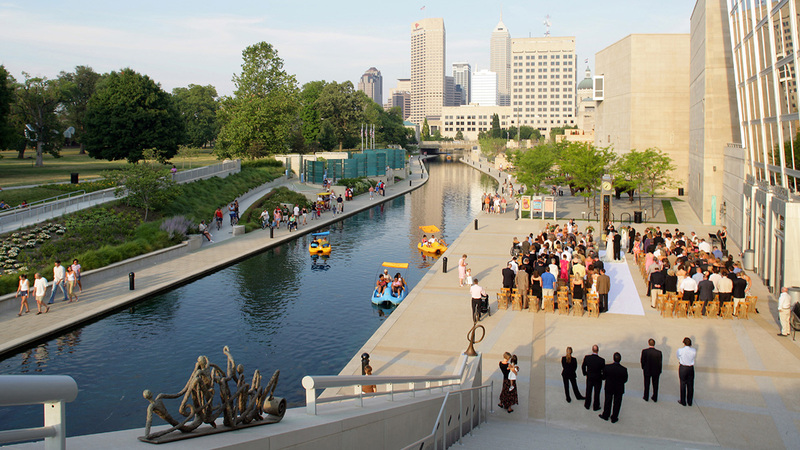 At West Ohio Street the canal turns west and passes Military Park, the Congressional Medal of Honor Memorial, Watanabe Garden and the Indiana State Museum before heading south and west to its modern extension, designed by Sasaki Associates, in White River State Park.